As you might have heard, Avengers: Infinity War is a great movie that made a bunch of money but also caused lots of tears. This post isn't gonna talk the deaths of [redacted], [redacted], [redacted], [a thousand more redacteds]. Instead, we're going to talk about the OG avengers. 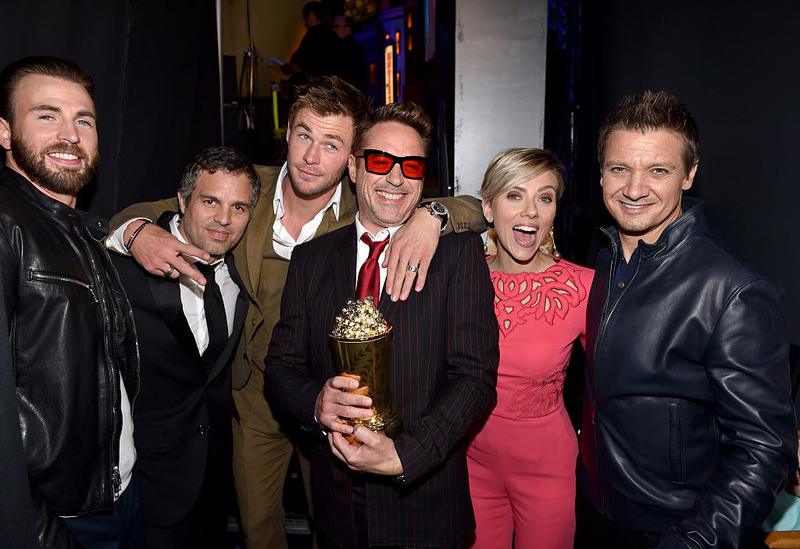 Because it looks like Chris Hemsworth (Thor), Robert Downey Jr. (Iron Man), Scarlett Johansson (Black Widow), Chris Evans (Captain America), and Jeremy Renner (Hawkeye) got matching tattoos from Joshua Lord of East Side Ink Tattoo. RDJ told EW that Scarlett and Chris Evans got it done in New York and then he, Jeremy, and Chris Hemsworth got it done in LA. Apparently Mark was asked but was like, "nah." There are 6 OG Avengers: Thor, Hulk, Iron Man, Black Widow, Hawkeye, and Captain America. THIS IS WHAT FRIENDSHIP DREAMS ARE MADE OF. And according to this video from RDJ, they miss Chris Evans. THEY MISS HIM SO MUCH. Robert also told EW that they each ended up tattooing artist Joshua Lord as well.